Artist Leo Lätti has drawn a picture of the beaver, with a twig in its paw – this twig has a great role this year – the beaver is a Builder! House-builder. 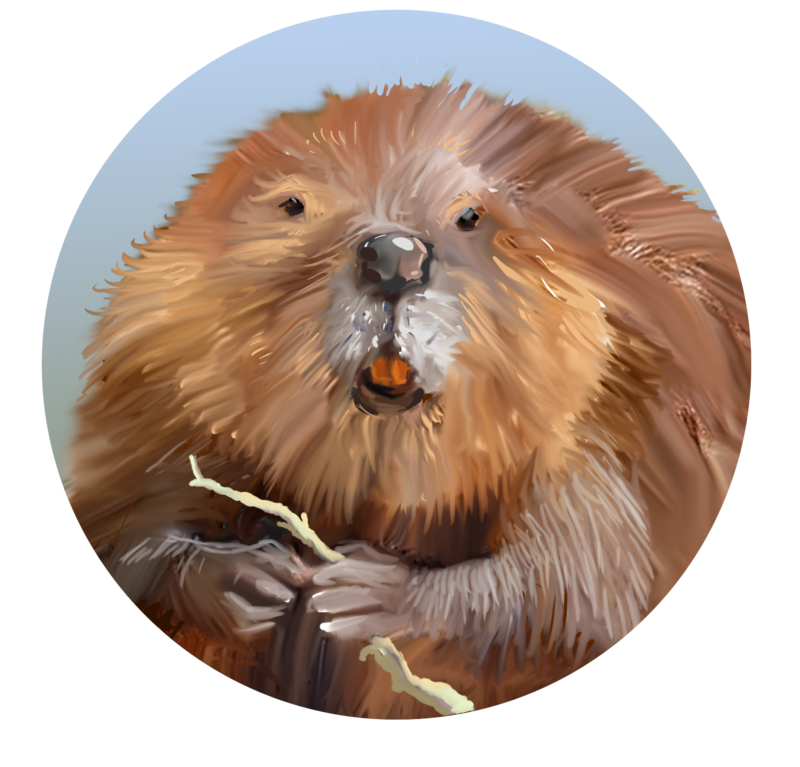 This year we will introduce the beaver firstly as a powerful builder who creates habitats for others too. Now in January the building period of the beaver has not started yet but soon it is at hand. ”The beaver might be called the architect of our regained Estonian wildlife surroundings; wherever he can get at it he creates large or small habitats where many protected and endangered species of birds and amphibians, from reptiles to semi-aqueous species, can live,” writes Remek Meel, rodent researcher and spokesperson for the Beaver Year. "Of course the beaver changes its surrounding environment greatly and so the species easily becomes an enemy for humans, because man does not tolerate that anyone except ourselves may change the environment to such a great extent." Beaver holes and beaver holes. There are beaver holes on soil and beaver holes on water – the latter of course on frozen water bodies. The holes in ice are the only places where the beaver can get out in cold weather. In mid-winter he does not move much, he is only busy with using his winter stores that he has brought together earlier. When he believes that the winter will drag on for long he collects more supplies. But what if the beaver holes freeze? What word for beaver in Estonian? Of the words for beaver "majajas" is particularly interesting – the clearly older name for the animal (cf "majjai" or "majajas" in the võru dialect; "majava" in Finnish). What has the beaver to do with a house, “maja”? Of course as a great builder the name "majajas" would be appropriate. But from where does the name "kobras" come? 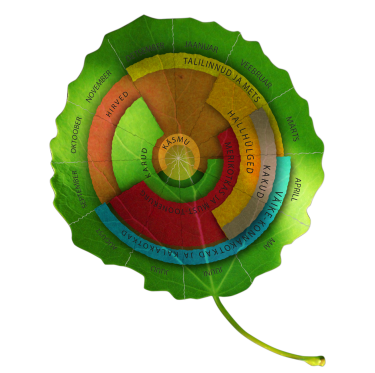 Or another, "piiber"? Beaver bones. This year we will investigate for how long the beaver has inhabited this area, what the paleozoologists who know how to read ancient bones know to tell us about the beaver and maybe also show if the disappearance of the beaver from the landscape might have influenced the introduction of the new name (in 1841 the last beaver in Estonia was shot and the species was reintroduced in Estonia only in the mid-20th century). Beaver camera in spring 2019. Beginning in late winter-early spring we will be able to observe the doings of the beaver at the nest in a webcam and maybe also dam-building – who knows. Distribution of beavers. During the beaver year we will also see how the beaver fares in Estonia. Is an increase in its numbers desirable? Canadian or North American beaver. Who is it and how might our beaver feel on meeting it? The beaver year will be festively introduced on January 31st when the Beaver Year opening party will take place in the Tallinn Zoo – all are welcome!